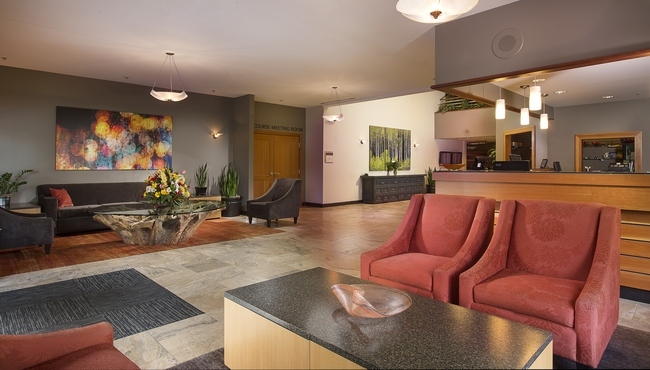 Just three miles from Portland International Airport (PDX), Radisson Hotel Portland Airport is a home away from home for busy travelers. Hop on our 24-hour shuttle to and from the airport for easy transportation, or book one of our Park, Stay and Fly packages and house your car at the hotel for up to two weeks. If you’re in town for a few days, ride the Metropolitan Area Express light rail nine miles into downtown Portland, where you can browse booths at the Saturday Market, meander through the stunning Lan Su Chinese Garden or see exotic animals at the Oregon Zoo. If you’re traveling on business, book one of our One-bedroom Suites, which includes two 42-inch TVs and a boardroom table with six chairs. Start your morning with a savory breakfast skillet or hearty buffet selections at Lakeside Bar & Grill, located at the hotel. For lunch and dinner, you can order from an outstanding selection of Pacific Northwest dishes made from locally sourced ingredients. After a busy day, the on-site bar is a great choice for a specialty cocktail and light bites with colleagues or friends. 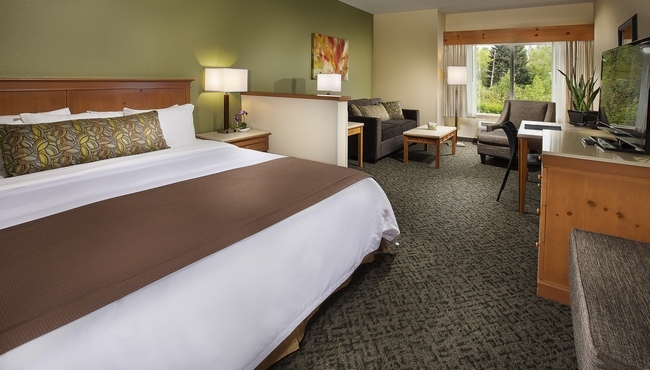 Cascade Station – Take a complimentary shuttle from the hotel to this vibrant shopping center, just two miles away. Cascade Station boasts dozens of national and local retailers in addition to several excellent restaurants. Portland Saturday Market – Less than 10 miles from the hotel, the Portland Saturday Market sets up every Saturday in the Old Town/Chinatown district. You can browse 252 booths with vendors selling produce, art, jewelry, clothing, flowers and more. Lan Su Chinese Garden – Visit Lan Su, 20 minutes away, to see one of the most authentic Chinese gardens in the United States. Built in collaboration with Portland’s sister city, Suzhou, Lan Su features a stunning tea house and more than 30,000 plant species. With convenient 24-hour shuttle service and a location near the airport, the Radisson is the ideal place to host business meetings, conferences and celebrations for up to 100 people. Three event rooms cover a total of 2,500 square feet, and our thoughtful staff is always on hand to help with details like event arrangements, catering services and audiovisual equipment.